Dash power bank 2200mAh. 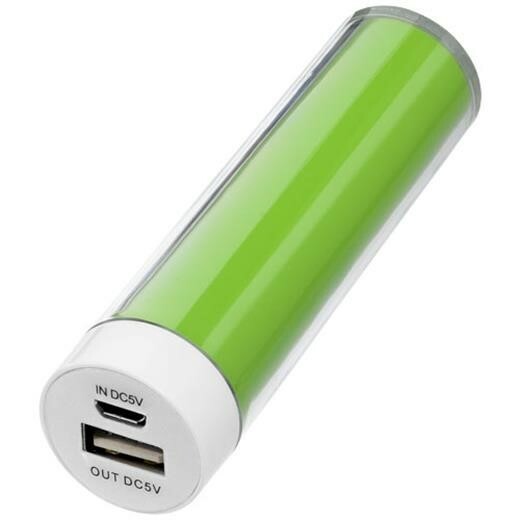 The 2200 mAh battery capacity provides enough power to charge a mobile device. Power bank charges in 2 hours with USB cable (included) and lights red when charging, or blue when fully discharged. Light goes out when charged. Packaged in a white carton box. ABS and PC plastic.